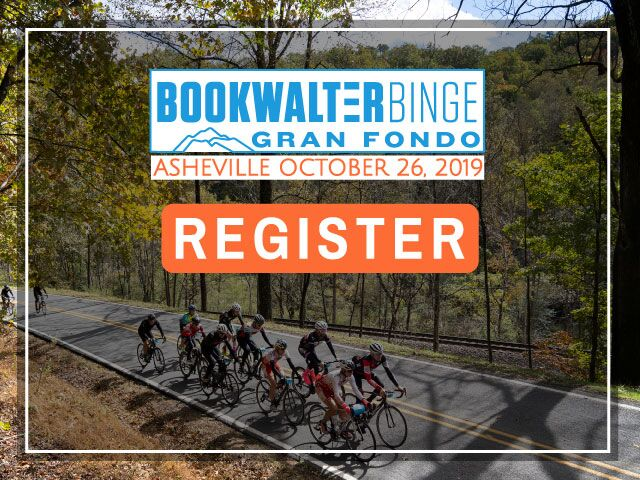 Bluewater International Granfondo (BIGF) announced that it will be the first ever Canadian event to be part of the 9-event Giordana Gran Fondo National Championship Series (GFNCS). For Canada’s inaugural event, organizers are including a Giordana Italian Cycling Jersey as part of the registration fee. 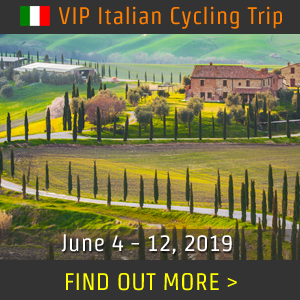 "It is great to be able to combine our event with the Giordana Gran Fondo National Championship Series allowing participants to gain points while also visiting Canada. The start conveniently located 15 minutes from the Michigan/Ontario border" said Ken MacAlpine, Chairman of BIGF. 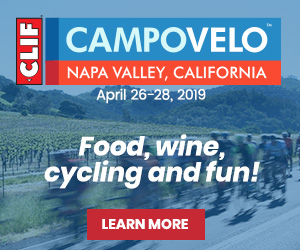 "We're excited to add the Bluewater International Granfondo to the series as a points event," said Reuben Kline, founder and president of GFNCS. "The philosophy and format of the Bluewater International Granfondo fits well with the goals of GFNCS." Riders registering for the BIGF receive a cycling jersey from Giordana, sponsor of the GFNCS, as part of their registration fee. 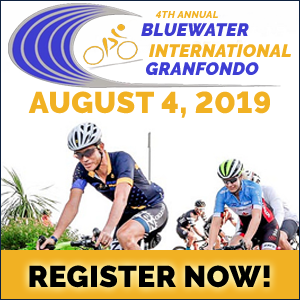 The Bluewater International Gran Fondop is an exciting NEW Gran Fondo welcoming cyclists to Lambton County’s Bluewaterland will start and finish along the shores of Lake Huron in Sarnia’s beautiful Mike Weir Park this summer, just 15 minutes from the U.S. / Canadian border. Taking place July 31st 2016 is part personal challenge and part serious competition with riders having three routes to choose from. The event will not be timed from start to finish but instead will have 4 timed sections. This allows for the focus to be about enjoyment while allowing your competitive juices to flow! It also allows for group riding with friends or just riding along at your own comfortable pace. At the finish relax to live music while enjoying a well-deserved hot meal and a non-alcoholic beverage followed by an optional refreshing swim in Lake Huron. 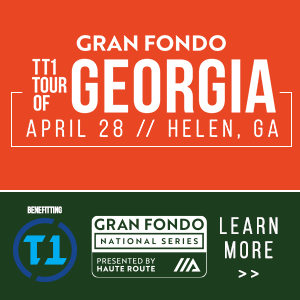 Whether you are looking to experience the enjoyment of riding on quite country roads or through fruit orchards and vineyards or challenge yourself on the rolling hills of Arkona you will find it all in this first international Gran Fondo. The route ride captains will lead the 50km riders through country roads with rolling hills and incredible scenery. Routes are offered in lengths of 50k, 100k and 150k so participants can find a distance to match their goals. 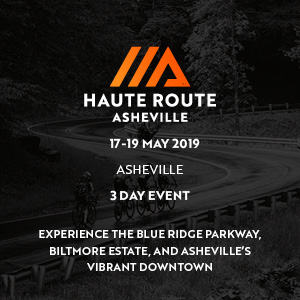 Each route will have its own start time specifically designed to avoid mass start anxiety and allow riders of all routes to be able to finish within a reasonable time of each other. Overall male and female winners plus the various age group winners will be determined by the overall lowest cumulative time from the timed sections. All participants will receive a commemorative Giordana Italian Cycling Jersey and finishers medals. Apart from enjoying the health benefits of cycling, irrespective of age or ability, you will be supporting palliative care in Lambton County with funds being donated to St. Joseph Hospice of Sarnia Lambton and Palliative Care at Bluewater Health. You can also choose to challenge yourself during the timed sections competing against others, the clock and yourself all while riding in some of Lambton County’s most scenic areas this event is a “must do” for both cycling enthusiasts and first timers while discovering HOW TO RIDE FOR FUN AND SPRINT FOR GLORY. The Golden Gran Fondo was rated by Gran Fondo Guide as one of the hardest Gran Fondos in the US. 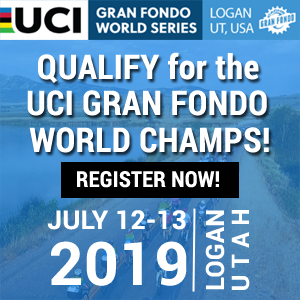 The Giordana Gran Fondo National Championship Series® was established in 2012 and is comprised of eight European-style ride/races staged in the United States. The series is sponsored nationally by Giordana Cycling, GRUPPO STELVIO, Bertucci Performance Watches, Bicycling Magazine, Hammer Nutrition, Swiftwick, SeaSucker Vacuum Mount Bike Racks, Peaks Coaching Group, Feedback Sports, Rudy Project, ProGold Cycling, Jittery Joe’s Coffee, Polar Bottle, Ritchey Bicycle Components, and Capua Law Firm. 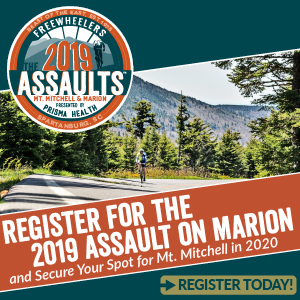 Founder and President Reuben Kline has more than 25 years of experience in the bicycle industry, including five years as a professional mountain biker, ten years as a full-time race director and 20 years as promoter of the Michaux Endurance Series. The company is headquartered in the Washington, D.C. area. 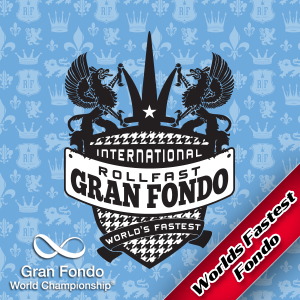 To discover the history of GFNCS on Gran Fondo Guide, please type "nationals" on our site search (top RHS).